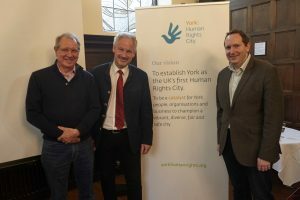 A Doodle documenting the history of human rights in York and the UK was created by Stephen Hodgkins for York: Human Rights City. 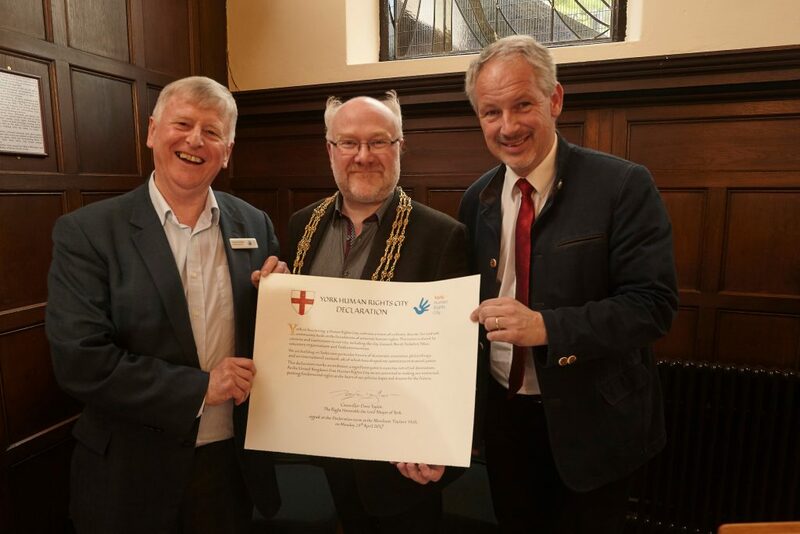 Stephen Pittam (left), Chair of York: Human Rights City, The Rt Hon the Lord Mayor, Cllr Dave Taylor (centre), Cllr Thomas Rajakovics (right) from Graz, Austria hold signed declaration. 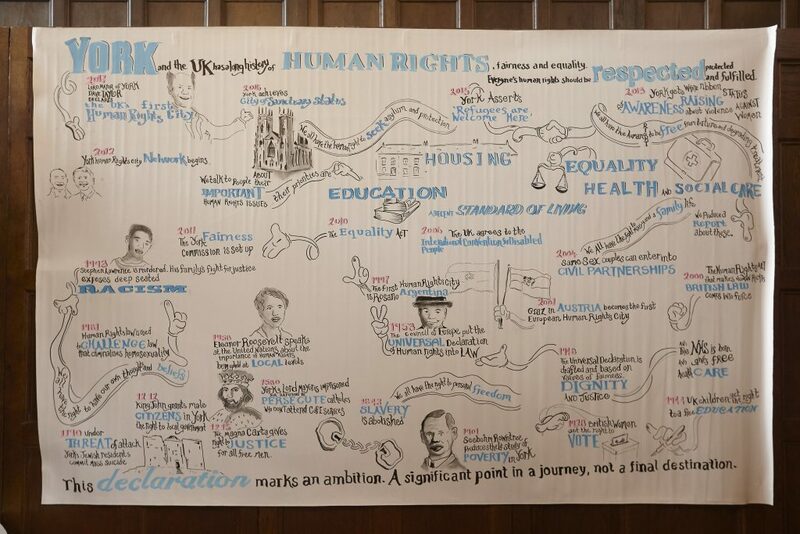 Doodle created by Stephen Hodgkins for York Human Rights City which captures the history of human rights in York and the UK. 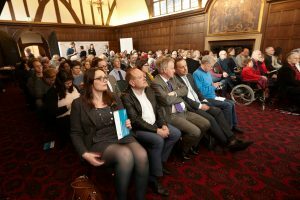 More than 120 people squeezed into the Hall to witness the declaration. 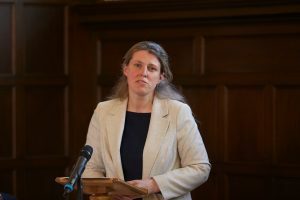 York Central MP, Rachael Maskell, spoke in support of the declaration. Every celebration needs to be marked by cake! 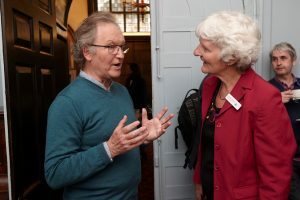 Prof Chris Bailey (left) and Marilyn Crawshaw (right), York: Human Rights City steering group member, chatted about human rights, culture and wellbeing. 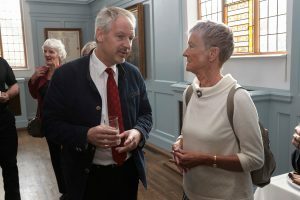 Cllr Thomas Rajakovics, Speaker of the Mayor’s Office in Graz, Austria talking about human rights with Professor Dianne Willcocks, Chair of the Fairness & Equalities Board in York. 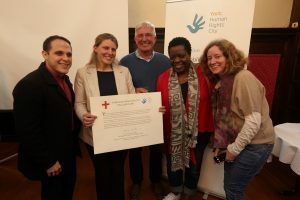 Rachael Maskell, MP for York Central (second from left), poses with post-graduate students from the Centre for Applied Human Rights at the University of York. 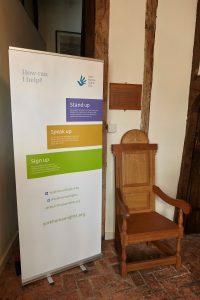 Our new banners calling York to Stand up, Speak up and Sign up. 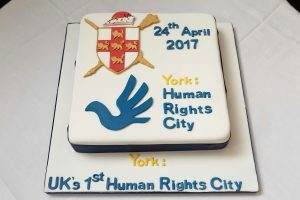 Copy and design by Plump, a local York firm. 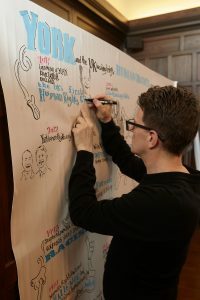 Have a look at the film our friends at RightsInfo made about the declaration.